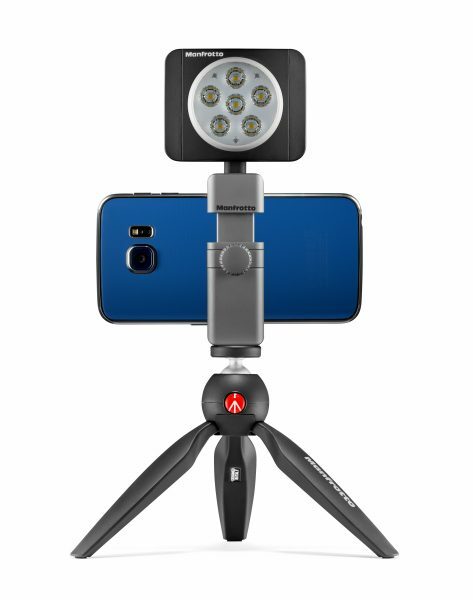 Manfrotto, the smartphone and camera accessories company, specialising in Tripods and such like have just announced the Twistgrip, the ultimate universal smartphone clamp, allowing users to take smartphone photography to a whole new level. It connects to all smartphones, and can connect to all cameras via 1/4″ thread, enabling a complete modular photography system. 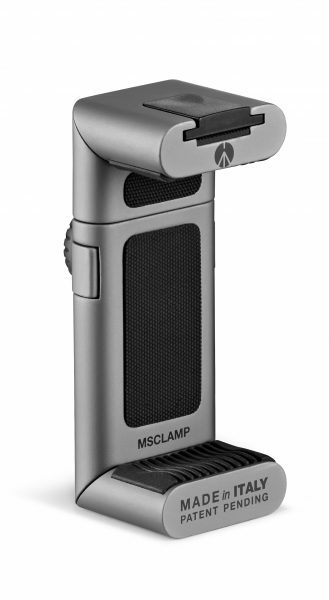 The modular photographic system not only allows you to connect to any smartphone or camera thanks to its 1/4″ thread adapor, but the cold-shoe lighting connection to allow integration with an LED light. It works in multiple configurations, with different photography accessories, always helping to achieve the best photo and video results. Its high-quality construction aluminium body is completely Made in Italy to ensure perfectly secure, sturdy support for all smartphones while users focus on catching life’s best moments. The clamp’s twist movement and locking knob secure the smartphone in the right position in a just a few easy steps, so it stays safe, regardless of the shooting perspective. Previous story Virtual Reality Start-Up? HTC got your back! Next story Who wouldn’t want a C-3PO?